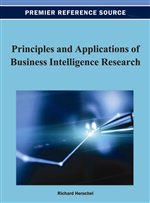 This paper examines the key issues associated with current and future implementations of business intelligence (BI). The authors review the literature and discover both the growing importance and emerging issues associated with BI. The issues are further examined with an exploratory, but detailed, case study of organizations from a variety of industries, yielding a series of lessons learned. The authors find that organizations are rapidly moving to an enterprise perspective on BI, but in an unsystematic way. The authors present a prescription for the future of BI called “enterprise intelligence” (EI). EI is described in a framework that combines elements of hierarchy theory, organization modeling, and intellectual capital. The origins of this research began somewhat informally and anecdotally with comments from our students in Stevens’ process innovation, knowledge management, and data warehouse and business intelligence courses. Also, we were receiving comments from experts in consulting firms and companies about business intelligence (BI) concerns and trends that we found intriguing from both an academic and practical perspective. Initially, the concerns were centered on centralized versus decentralized BI (Whiting, 2004). However, as we reviewed the literature on BI issues and trends, we saw immediately that a more comprehensive approach was called for. How are major companies organizing their BI approach to meet the demands of their environment? What are the relative roles of IT and the business units in BI? According to a survey of business technology professionals in 2009, their number one goal is to “plan to train in-house BI experts and power users on analytical tools” (Henschen, 2009). Similarly, the 2010 IBM survey of global CEOs highlighted the usage of “intelligence and analytics to create foresight” to create advantage out of complexity (IBM, 2010). In contrast to this optimism, the Gartner Group describes a consistent gap between “theory” and “practice”; most notably, an over reliance on tools and reporting, unclear responsibility and governance lines, data quality and modeling issues, disconnected project portfolios, and so on (Bitterer, 2010). In a Financial Times Special Report, “Managing Intelligence: How to make sense of the pieces,” a series of six articles describes both the promise and challenge of BI (Financial Times, 2009). Selected titles reveal those promises and concerns: “The final frontier of business advantage”, “Finding a home for all that data”, “Search goes on for a ‘single version of the truth’”, Lighting up the road ahead”, “IT aims to overcome the blind spots”, and “Historians asked to become forecasters”. Embodied in the titles are the same advantages and concerns found in the IT literature, but from a business perspective, including everything from managing data to city-center redesign. In general, our reading of both the trade and academic literature highlights a technology-centric approach to BI. Whether we are speaking about “promises” or “realities”, the questions and answers are typically framed as IT problems. In contrast, we approach BI as an organizational design problem, where, quite often, the same technology issues discussed in the trade press are considered from an organizational perspective. To investigate these research questions, we decided on an initial but detailed exploratory case study of a small number of selected organizations from a wide variety of industries that we identified as data intensive and technically mature. The combination of a small number of carefully selected organizations with a detailed analysis covering a large number of BI topics allowed us to “initialize” our research and adopt a comprehensive approach, necessary we believe, to better understand both the conceptual and practical issues of BI. The case study and its results are described.